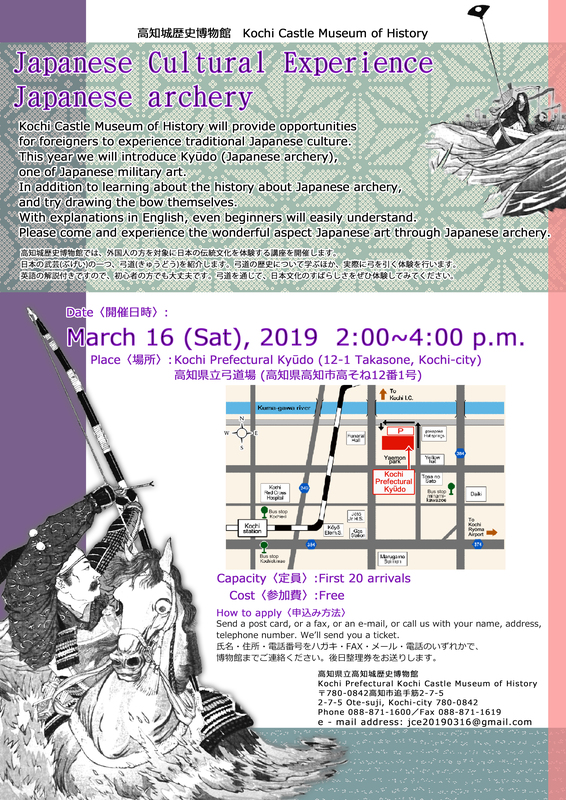 Kochi Castle Museum of History will provide opportunities for foreigners to experience traditional Japanese culture.The subject of the event is ”Japanese archery (Kyudo)". Send an e-mail, or a fax, or a post card, or call us with your name, address, telephone number. We'll send you a ticket. With explanations in English, even beginners will easily understand. Please come and experience the wonderful aspect Japanese art through Japanese archery.